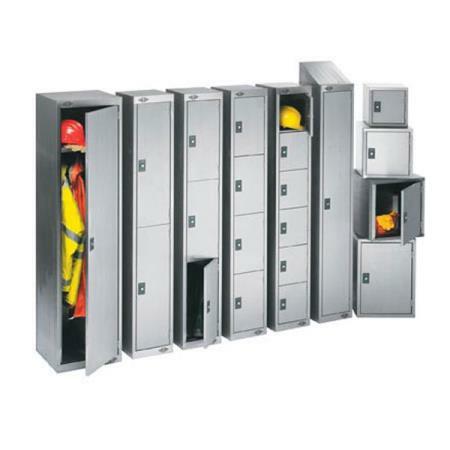 3d Lockers have a portfolio of strong and corrosion resistant stainless steel lockers ideal for environments where hygiene and stringent cleanroom conditions are of paramount importance. Ideal for wet, damp or humid areas such as abattoirs, fisheries, food processing plants, commercial kitchens, and the pharmaceutical industry. Manufactured from 304 quality stainless steel sheet with a brushed polished finish and concealed door hinges, Our stainless lockers are rust proof ad corrosion resistant and come with accessories such as sloping tops and locker stands for raising the units off the floor. With free delivery throughout UK mainland, you can buy online or over the phone. For further advice on our stainless storage solutions get in touch today.